White goat feeding. Goat on farm. Goats eating long fresh green grass. Farming. Agriculture. Domestic animals on farm. Countryside. Outdoors. hd00:15A white goat will go to the field. Farm, cattle, goats. 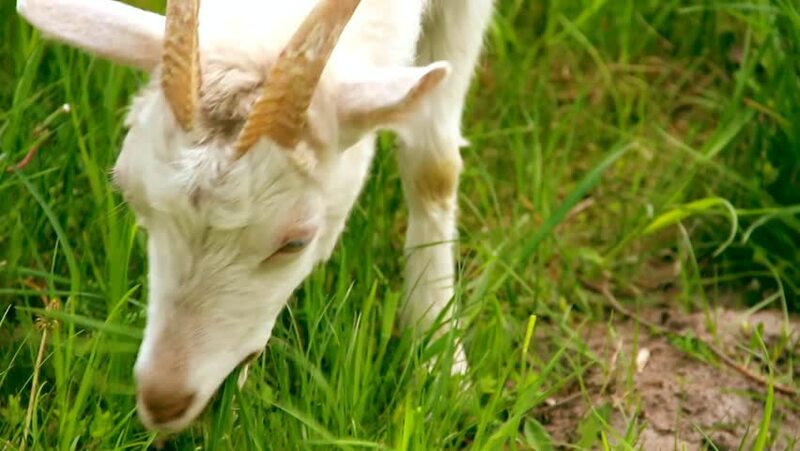 hd00:15White Little Goat Grazing in the Field. the Action in Slow Motion.